A great content marketing strategy is vital to attract customers and engage with them. It will help you improve your ranking with the search engines, which in turn will get you more customers and conversions. As with all aspects of website development, content marketing has a number of aspects that must be in place, as well as some things that must be avoided to ensure success. The benefits of a good content marketing strategy are many and that’s why search engine professionals and internet marketing experts are using this technique to get better visibility, among other things, across all businesses. In this post I’ll examine some essential aspects of this strategy, which include vital elements of this marketing policy and also factors that should be avoided to ensure success in your content marketing campaign, and its benefits. I’ll start off by outlining what must be done to make your strategy a winning one; what appeals to both people and the web crawlers and therefore how you can improve your ranking and increase sales. Optimize for Smartphones, Tablets: The huge increase in traffic coming from mobile devices means that you have to optimize your site for these gadgets. In this way your users will see your content in an effective manner. The importance of this aspect has increased as Google is taking it into account in its ranking procedure. Personalize the Experience: Treat your visitors as individuals and give them experiences that suit each one of them. To do this you must know their location, what they are exactly looking for at that moment, and what phase of the journey on your site they are in. Then you can expedite the customer experience and make it more practical, fast and satisfying. Make Navigation Easy: The most elementary and essential factor of a website is the navigation. Lesser clicks mean more sales and vice versa. Simple navigation means users can find things faster and be more satisfied. Also, the English language is read left-to-right and top-to-bottom. Thus, keep tabs for chief landing pages in the horizontal navigation at the top of all pages, along with sub-sections below. Use Researched Keywords: Use Google’s AdWords Keyword Tool to get the keywords that will satisfy your customers. If a user is seeking cheap books then ‘cheap books’ and not just ‘books’ must be your keywords. Produce Unique Content: You must create fresh content. If your content is new your site will be rewarded by search engines. Don’t copy paste description of products/services provided by manufacturers. Storytelling: A successful website must tell a story that goes with the product. For example, if the products are men’s shirts, provide the potential customer with short advice in story form about when and where the variety of shirts you have on offer can be worn. Provide Reviews of Products: If you are selling products/services on your website, then make it easy for users to access reviews/comparisons of your products. Getting them highlighted by schema.org is also recommended for Google, the giant search engine, uses this info to produce rich snippets for its results page. You can get increased traffic and sales through CTR (click-through-rate) as a consequence of using these snippets. Make Visitors Trust You: Trustworthiness of a website pays huge dividends so ensure that you have the BBB (Better Business Bureau) seal as well as customer testimonials which praise your services/products. Write Blogs: A Hubspot survey found out that 43% of marketers said they acquired a new customer from their blog last year and 82% of those who blogged every day secured a customer from it, in comparison to 57% for those who blogged monthly. Blogging helps to create new content which is what Google desires. Apart from being indexed in search, blogs are shareable via other channels of marketing like social media networking platforms and emails. Content Must be Lasting: The best content is that which remains fresh forever. For example, if you run a car servicing business, you can provide guidelines/tips on the proper maintenance of cars in general. You can include some videos on this too. Also, your content must be of high quality. Never sacrifice quality for quantity, too much irrelevant content will do you more harm than good. Your content must also be shareable since the marketing power of social media sites like Twitter, Facebook, and Pinterest is growing every day. Your content must also be branded with your site’s logo and name. Additionally, keep both web and mobile users in mind when you edit and size your multimedia and images so that both get optimal viewing. And don’t forget H1, H2 style headlines, for Google’s newest algorithm Panda gives them due weightage. What Role does a Content Marketing Strategy Play in SEO? Both are like two sides of the same coin. You can’t have one and not the other. If your content strategy does not suit your business or your clients, then neither will your SEO strategy. Eventually your organization’s objectives will not be met. If your content is of good quality and relevant, fresh and regularly updated, it will have great impact on your SEO. You will get high ranking in the search engines for keyword phrases that will attract prospects, media and the industry’s interest faster. Google states that website owners must create a “useful, information-based site” and “write pages that clearly and accurately describe your content.” These statements make it clear that Google knows how important content is. So, for great search engine visibility, your content is vital and a great content marketing strategy essential and advantageous. There’s no disputing how beneficial content marketing is for your business. The more resourceful Google views your site, the better position it will get. From a marketing point of view, potential buyers want to assess your site before taking the next step towards conversion. So you have to draw their attention, make them seek more information and supply you with their email addresses. Your content should dissuade them from going to your rival’s site. Before I finish, I’ll give you take a quick round-up of some things that you must do, and not do, to give shape to a great content marketing strategy. Make your content a varied mix of many elements like blogging, Infographics and the elements of online media. Give your users a pleasing experience. Ensure that your Infographics are visually attractive and informative. Provide statistics and other info that’s related directly to your product/service. Focus on content-sharing and make it easy. When you post on external sites, concentrate on quality ones which will provide you a quality link. Engage with people who are talking about your brand online. When people comment on your blogs, social media pages or any other content make sure you reply to all of them. Don’t copy content strategy directly from somewhere else. Be unique and creative. Avoid writing articles/blogs on topics that are stale and have been written about numerous times in the past. Be informative and resourceful. Don’t try to hard sell. Remember, quality always scores over quantity. No duplication, please! Google may penalize you for it. Don’t be cheap. Spend if you have to well for graphics, multimedia and coding for your content marketing campaign. If you try to be cheap, you’ll appear unprofessional and coarse. 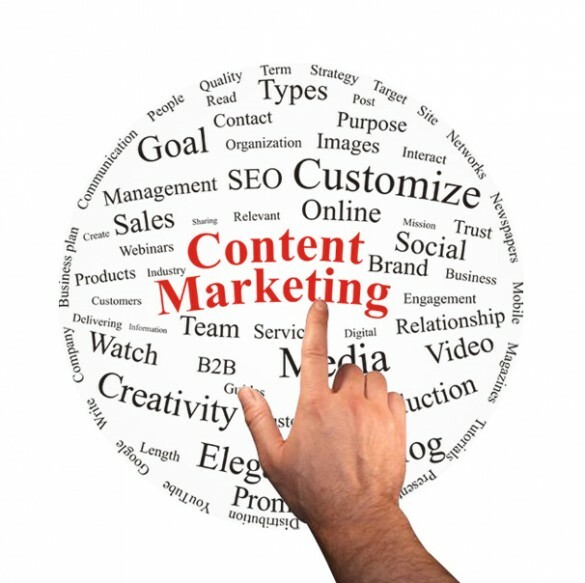 Link your content marketing strategy with already existing content. If you include links and make a mention of it on your social media account, it will persuade readers to keep on consuming more content from your brand. We have thus seen the advantages of a good content marketing strategy and it has become a vital tool in today’s world of business. The creation of top quality content will help your company and brand get noticed online. If you focus on what you should do, and what you must not, you will effectively connect with users and ensure a high volume of traffic to your site, a great association with your users and higher ranking. In short, more sales and profits. I will be happy if you share your ideas on this very topical subject and give your comments on it. Alan Smith is an avid tech blogger with vast experience in various IT domains, currently associated with SPINX Inc., a Los Angeles, California based website design, Web Application Development and internet marketing company. You can follow Alan on Twitter: @alan_smith80.